The International Cycling Union (UCI) has now agreed to provide an amnesty for those giving evidence to its independent commission on doping. The world governing body had earlier rejected an amnesty leading to the withdrawal of world (Wada) and US anti-doping (Usada) agencies and pressure group Change Cycling Now (CCN). But it will now give "necessary assurances to those coming forward". The UCI expressed its hope that Wada and Usada would rejoin the inquiry. 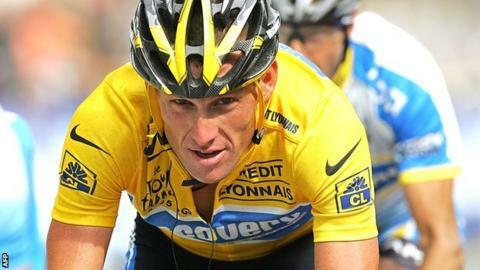 The three-person independent panel (UCIIC), which consists of Baroness Tanni Grey-Thompson, former Court of Appeal judge Sir Philip Otton and Australian lawyer Malcolm Holmes, was set up in November to investigate the Lance Armstrong affair. This week the panel announced it planned to hold a public procedural hearing to discuss the stand-off with UCI, and this will take place at the Law Society in London on Tuesday. The UCI say they will inform the panel at the hearing they are willing to provide an amnesty, as long as it does not contravene the World Anti-Doping Agency code. A statement from the UCI read: "The UCI confirms that it will be informing the commission at the hearing next week that it is willing to provide the necessary assurances to those coming forward with evidence relevant to the independent commission's terms of reference provided Wada confirms that such assurances would be consistent with the letter and spirit of the Wada code, or, if not, it makes the necessary changes to the code." The UCI also said Wada should impose an amnesty across all sports and expressed its hope that Wada and Usada could be persuaded to rejoin the inquiry. "The scourge of doping affects all sport, not just cycling. WADA has itself recently announced a task force to address 'The ineffectiveness of the fight against doping in sport'," the UCI added in their statement. "If Wada is serious about uncovering the full extent to which modern science and the limited methods of detection available to sporting bodies and anti-doping authorities (including itself) have prevented doping, it should establish a truth and reconciliation commission. "The UCI, for one, would be happy to participate in such a process and contribute to its funding. "That would clearly be a lengthy process. In the meantime, it is hoped that Wada and Usada will reconsider their positions and participate in the work of the independent commission, including participating in its hearing scheduled for next week." The UCI's comments came on the day it launched a 24-hour confidential anti-doping helpline for professional riders. "An outside organisation has been mandated to handle the process to guarantee strict confidentiality," a UCI statement read. "It guarantees that all calls can also be made anonymously at any time, and any day of the week, which is in line with the recommendation of the Association of Professional Cyclists (CPA)." Read more on Lance Armstrong: What could be fallout from Oprah interview?